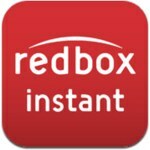 Redbox Instant by Verizon went live today, allowing people to sign up for a private beta to use the streaming service. Interested users can enter an email address to receive a code that will provide eventual access to Redbox Instant on the computer or on a mobile device, using the accompanying Redbox Instant iOS app, which was released today for the iPad and the iPhone. Redbox's video streaming service is priced at $8 per month, which is on par with the pricing of both Netflix and Hulu Plus. It also comes bundled with four physical DVD rentals per month from Redbox kiosks, which can be upgraded to Blu-ray for an additional dollar. Like Netflix, Redbox plans to offer a variety of movies from sources like Warner Bros. and the pay TV channel EPIX, though the service will not have any television shows at launch. Traditionally, Redbox offers top Hollywood hits, with the top 200 movies from major studios stocked in its retail locations. Its content library will be smaller than what Netflix is able to offer, but it will focus on providing more recent releases. Redbox is planning to send invites to the new streaming service over the coming weeks via email, and each invite will come with one free month of access. The only way they'll successfully compete with Netflix is if they offer the same selection available at their kiosks. If they cripple their streaming catalogue, like Netflix does, and only offer old stuff, it'll see lukewarm success at best. I don't think its netflix choosing cripple the catalogue, I think its just really hard for these companies to negotiate streaming rights for a buffet-style all you can watch service. Signed up, downloaded the app, got a message saying my device is compromised and that the application will not initialize. No RedBox streaming for jailbroken iDevices?? Yay another streaming service the UK will likely never get. Indeed. Early on if a new movie came out on a Tuesday, often you'd get it on a Monday from NF. Now they have a contract with most studios and distributors to release the new DVD one month after it's in stores. A movie that sells well they're not going to put up onto streaming for a while, if at all. But a movie that sells poorly they put up a week or two later. Personally I don't see any reason why they can't offer it all for streaming. I'm sure they will at one point in the future. Halfway there, I guess. If NF was smart they'd broker dealers like the cable companies do to offer On Demand programming of new releases in theaters. The grosses on a movie would go up, that's for sure. God knows NF has money if they managed to get contracts with Disney's stuff. This. The streaming services would love nothing more to offer everything on demand. Unfortunately, the content companies have a vested financial interest in subscription cable and prefer that you consume content their way or not at all  or even better, their way and for more money.